No food tonight. Just art. There was a gas station on 10th Ave that we pass on our walk home from the gym. In September, it turned into a sheep meadow. 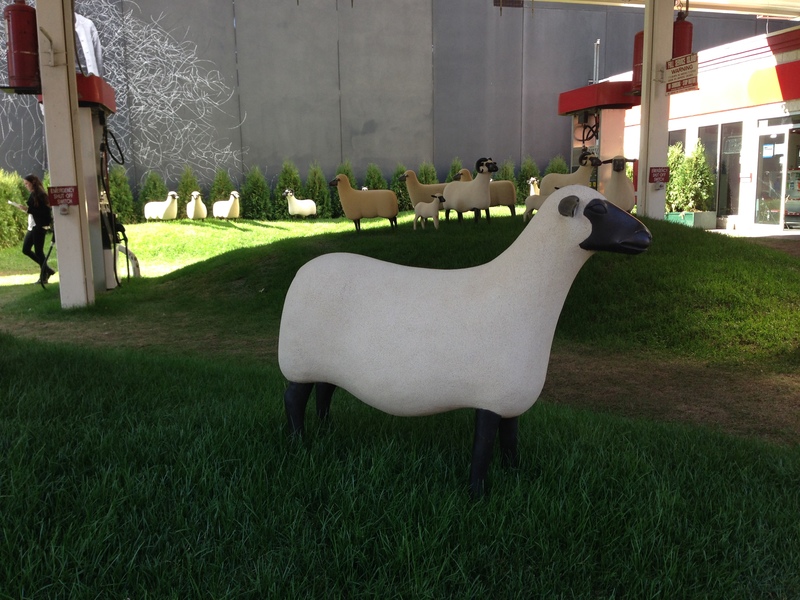 There are 25 of the stone “Moutons”, creating the largest public showing outdoors of the work of Francois-Xavier Lalanne. This is the future site of luxury residences next to the High Line. The developer, SHVO, has a thing for art. Lots of activity right near the High Line these days. You can see the other new luxury apartments going up in the background in the picture below. Check out another article with better pictures on it here in W magazine, or over here on Blackbook. Next > Blue Bottle. Snickerdoodle for Breakfast.